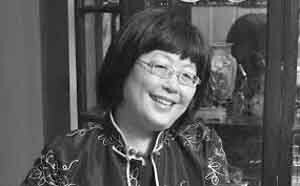 Cheng Naishan, a mainland Chinese author and writer known for her work about life in Shanghai, died recently of leukemia. The Blue House, a novel that is also available in English, French and Spanish, is about the world of romance, business and family life in Shanghai during and after The Cultural Revolution. Her work is known for the history, culture and legacy of Shanghai in the 1930s before World War II when the city was known as the “Paris of the Orient”. Cheng was born in 1947 into a family of bankers. The family moved to Hong Kong in 1949, and returned to Shanghai—out of patriotism—in 1956. 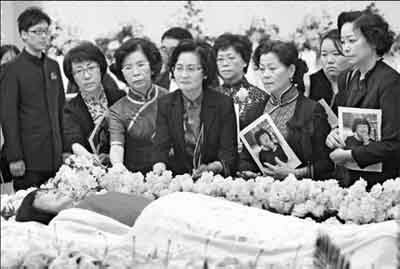 Her first story was published in a literary magazine in 1979 launching a literary career in China that spanned more than three decades. Cheng was diagnosed with leukemia in the winter of 2011, and she continued writing until near the end. This entry was posted on Thursday, June 6th, 2013 at 06:00 and is filed under China, Chinese Culture, Chinese literature, Chinese women, history. You can follow any responses to this entry through the RSS 2.0 feed. You can leave a response, or trackback from your own site.